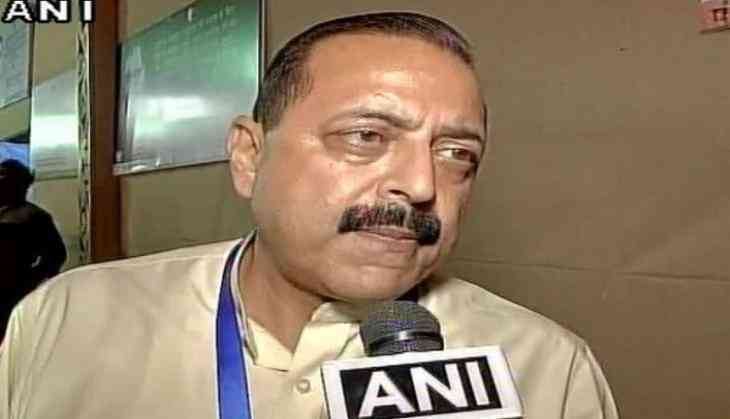 Minister of State in the Prime Minister's Office Jitendra Singh on 12 June criticised Congress leader Sandeep Dikshit's derogatory remark against Army Chief General Bipin Rawat, asserting that it was a sin to say anything that would lower the morale of the Indian Army. "It is a sin to say or do anything which directly or indirectly tends to denigrate and lower the morale of Indian Army," Singh told ANI. However, Dikshit later on withdrew his statement and tender apology for using uncivilized language. Further commenting on indiscriminate firing and ceasefire violations by the Pakistan along the Line of Control in Jammu and Kashmir, the Union Minister said the Indian Army is giving befitting reply to the attacks. "Pakistan is up to mischief for quite some time, but I think what is extremely reassuring is the fact that the people in the border areas have a high morale and have been testimony to the fact that the kind of retaliatory action that they are witnessing by the Indian side had not been witnessed for years. For each violation befitting reply is also being given. This is something we should feel proud as far as our Army and Paramilitary forces are concerned," Singh added. Earlier in the day, Defence Ministry spokesman Lieutenant Colonel Manish Mehta said that Pakistan has violated ceasefire for the ninth time since June 1. "Today morning, Pakistan violated the ceasefire violation at two places in KG (Krishna Ghati) Sector and also in the Naushera Sector and a befitting reply has been given by the Indian Army. Since the first of June this is the ninth ceasefire violation done by the Pakistan Army. .our troops are hitting them hard and it will hit them hardest," he said. The Pakistani Army initiated indiscriminate firing of small arms, automatics and mortars at 6.20 a.m. today. On Sunday, the Pakistan Army violated ceasefire in the Nowshera sector.